Sossuvlei. 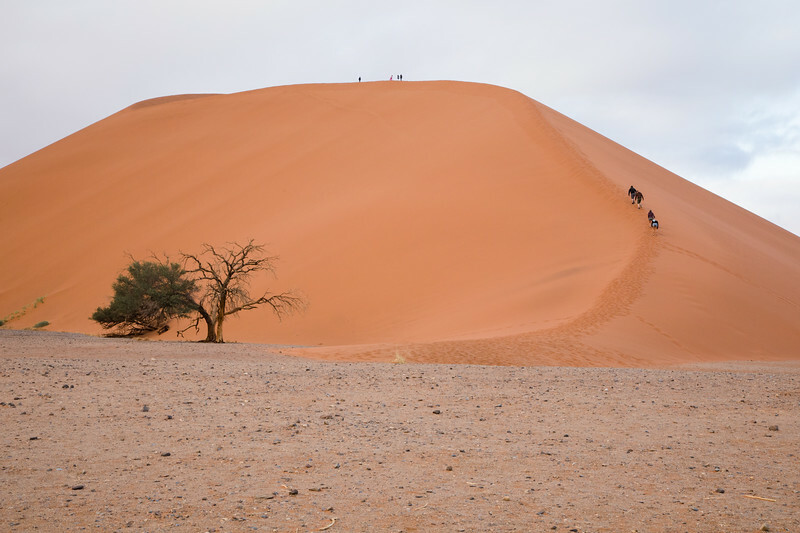 People climbing Dune 45. Only 85 meters / 279 feet high, climbing Dune 45 is still an arduous task in the soft sand. Best undertaken early morning / late evening.